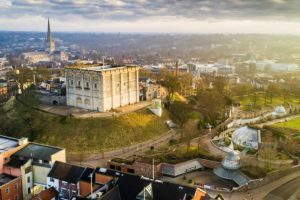 Are you setting up your business in Norwich? Or are you expanding your business in this area or its surroundings? Whatever be your business size is, and whatever be your business plan is. You need a professional auditor who can take care of your business accounts. So, in that case Miranda Management and Accountancy Services Limited are here at Norwich. Our mission at Miranda Management and Accountancy Services Limited is to help small and medium sized businesses. With n board our services we can be there in every step of the way for you and your business. From company formation to consistent bookkeeping to annual reports to tax returns we will keep track of your overall accounts. Miranda Management and Accountancy Services Limited is a team of chartered certified accountants. We have a team of professional and experienced accountants who have in depth knowledge in accounting and financial management. Basically Miranda Management and Accountancy Services Limited are based in London. And we have our head offices in Richmond and Uxbridge. We are operating in London but now we are operating in England too. We are getting a huge response from England especially from Norwich. That’s why now we are providing our services in Norwich. Compilation of reports and So many other services. In short we are all round solution for all your accounting need under one roof. Your financial needs are our priority and we take pride and pleasure in providing you with an honest and trustworthy bundle of services. And we will also give you advice and answer your questions promptly. So, get in touch with us right away. We are just a phone call away. Call us right now and book your appointment absolutely free. Our executives will be there at your doorstep in your comfortable time.